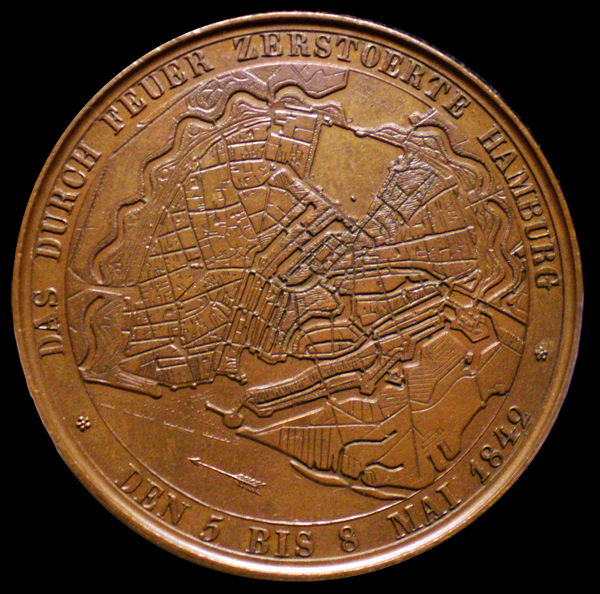 This bronze medal was minted by the city of Hamburg, a sizable German city of commerce situated on the Elbe river. This medal was minted to commemorate the loss of about a quarter of the city in the "Great Fire" of 1842. 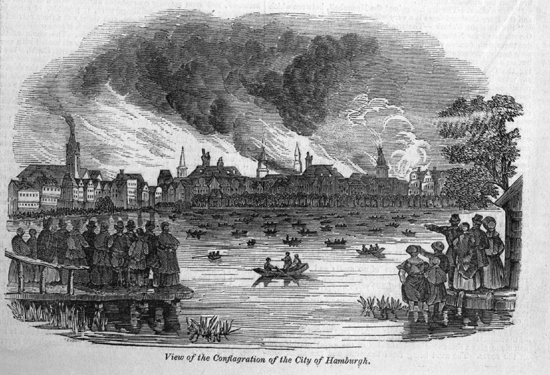 This fire started on the night of May 4th, 1842, quickly spread through the heart of the city, and was finally extinguished on May 8. 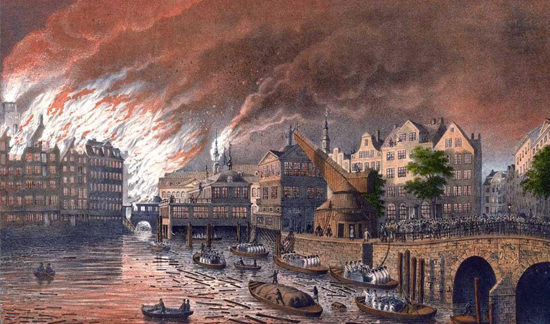 It destroyed three churches, the town hall, as well as many other buildings. It killed 51 people, and left an estimated 20,000 homeless. Reconstruction took more than 40 years. 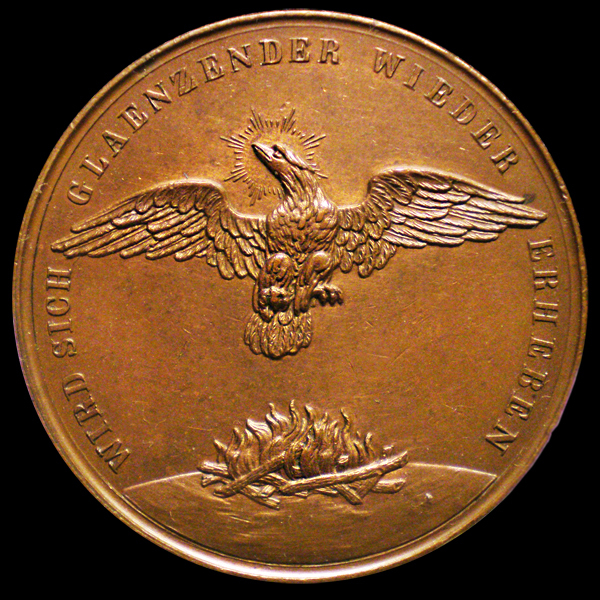 This medal shows a Phoenix rising from ashes and flame. Around the Phoenix, the inscription states that the city will 'again rise even brighter'. It is a statement by an optimistic city that it will not only rebuild, but it will emerge from the disaster better than before. 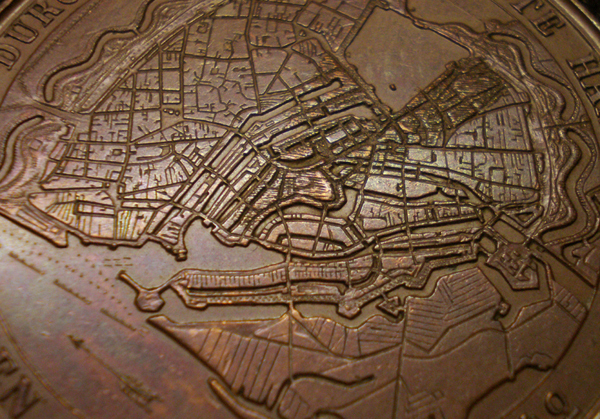 On the other side It shows a detailed map of the city with the parts destroyed by fires hatched. The inscription gives the dates the city burned.